ISLAMABAD: The government has put a squeeze on development schemes of federal ministries in an effort to contain fiscal deficit within the limits agreed to with the International Monetary Fund (IMF). According to the Planning Commission, the government has released only 27 per cent of the funds allocated in the budget for federal ministries and in some cases the releases have been below five per cent. Under the release mechanism, by now the government should have released about 55 per cent of the allocated funds. The commission, in an update on releases for Public Sector Development Programme (PSDP), said that about Rs100 billion had been released to federal ministries as of Feb 14 against an allocation of Rs362bn. Under the disbursement mechanism announced by the government, the authorities are required to release 40 per cent of the total allocation within the first six months of the fiscal year � 20 per cent in the first quarter (July-September) and 20 per cent in the second quarter (October-December). This is to be followed by 30 per cent disbursement in the third quarter, or 10 per cent every month. The Pakistan Atomic Energy Commission (PAEC) has been the luckiest institution at the federal level in this regard because it has received about 71 per cent of its total allocation for the fiscal year. But this has partly been due to substantial flows of foreign funding. 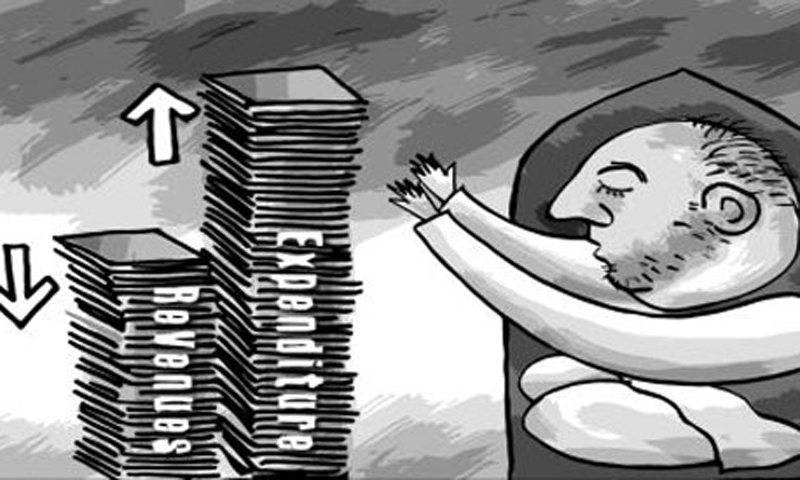 The government disbursed a total of Rs37.25bn to the PAEC until Feb 14 against a full-year allocation of Rs52.3bn. It received foreign funding equivalent to Rs15.35bn against the allocation of Rs26bn. The Federal Tax Ombudsman is the only federal institution that has not been given any funds for development in more than seven months of the year although it was allocated Rs31 million for the fiscal. The belt tightening has begun from the finance ministry itself that releases funds to every federal government ministry or institution. An amount of Rs3.4bn was disbursed for development projects of the ministry in seven and half months of the current fiscal against a budgetary allocation of Rs13bn, or just 26 per cent of the funds allowed. The cabinet division has so far been given Rs962m against a total allocation of Rs2.18bn, or 44 per cent, while the capital administration and development division has been given Rs569m against an allocation of Rs1.5bn. The Higher Education Commission (HEC) which was allocated Rs18.5bn for the full year has so far been given Rs7.4bn, about 40 per cent. The disbursement for the foreign affairs ministry stands at Rs75m against an annual allocation of Rs255m, just 29 per cent. The housing and works ministry has received Rs382m or only 10 per cent so far against the total allocation of Rs3.8bn. The defence division has been given only Rs163m against the total allocation of Rs3.6bn or 4.5 per cent. Likewise, the defence production ministry has so far been given Rs500m against a total allocation of Rs2.3bn, about 22 per cent. The ministry of interior has been given Rs2.4bn against a total allocation of Rs6.2bn, or about 39 per cent.